Take action now by signing our petition calling on Indonesian authorities to take action to close cruel live animal markets throughout Indonesia. Live animal markets – locally known as "traditional markets" – in North Sulawesi and throughout Indonesia are places of extreme cruelty. Every week, tens of thousands of animals are traded and slaughtered, including many thousands of dogs and cats. Thousands of live dogs and cats are put through hell every week – terrified and trembling, they wait their turn. Children watch as dogs are repeatedly bludgeoned over the head and blow-torched alive. Not only is this trade cruel, it also poses a threat to public health and safety, and is largely illegal - encouraging dog theft, illegal wildlife trade, and enabling the transmission of deadly diseases such as rabies by accepting dogs of unknown disease-status from outside the province. These markets must be condemned and they must stop. Please join us in calling on the authorities to take urgent action to close down these markets of extreme cruelty! I am deeply concerned about the hundreds of thousands of dogs and cats caught up in Indonesia's cruel "traditional markets" such as "Tomohon Extreme Market" each yaer, as well as the risk this poses to Indonesia's pledge to eliminate rabies to safeguard both human and animal health and welfare. The Dog Meat-Free Indonesia coalition's investigations in 2017, 2018 and 2019 in North Sulawesi's markets have revealed the immense suffering caused to tens of thousands of dogs and cats each month, as well as countless other animals, including illegally-captured and slaughtered species of wildlife. There are also growing concerns about the risk the dog meat trade poses to human health, including the transmission of rabies. Furthermore, I am deeply disturbed to see that children are routinely exposed to scenes of extreme animal cruelty such as witnessing the bludgeoning and live blow-torching of animals in these public markets. There is mounting evidence of the detrimental psychological impacts witnessing this kind of brutality can have on children's mental health. The Dog Meat Free Indonesia coalition has presented to Central and Provincial government representatives as well as the national and international media, evidence spanning decades documenting the link between the dog meat trade and rabies transmission from throughout Asia, including Indonesia; and in 2018 conducted tests on just 10 samples and found a rabies-positive dog carcass being sold for human consumption in Tomohon market. The brutal and unhygienic slaughter and butchery of dogs, and consumption of meat from rabies-positive animals, puts human health at risk. There have been reports of human deaths from rabies that have been directly linked to involvement in the slaughtering, butchery, handling and even consumption of meat from infected dogs. 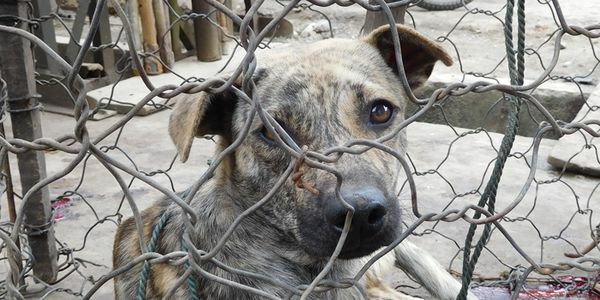 There is mounting and vocal global opposition to the dog and cat meat trade, and such practices gravely impact Indonesia's international reputation. Far from representing #WonderfulIndonesia, these scenes of cruelty are shocking to millions of people around the world, including potential tourists who may decide not to visit Indonesia until action is taken. As Indonesia is one of the most bio-diverse countries in the world, I urge you to promote its natural beauty, and safeguard its reputation from such scenes of horror. Across Asia there is an ever-growing number of countries and territories prohibiting the trade in and consumption of dog and cat meat, on the grounds of human health risks, animal protection, and the special role that dogs and cats have as companion animals; and in August 2018, the Indonesian government promised action! Animal cruelty can never be defended as "culture" or "tradition", and I urge you, on behalf of all dogs and cats – and on behalf of the 93% of the Indonesian population that never consume dog or cat meat – to please take action to safeguard Indonesia's animals from cruelty, it's world-renowned biodiversity, and the nation's health from disease risk, by taking strong and urgent action to close the cruel live animal markets.